This wonderful work (for a review, please click here) takes us inside a group therapy session for animals who grapple with issues not unlike our own. 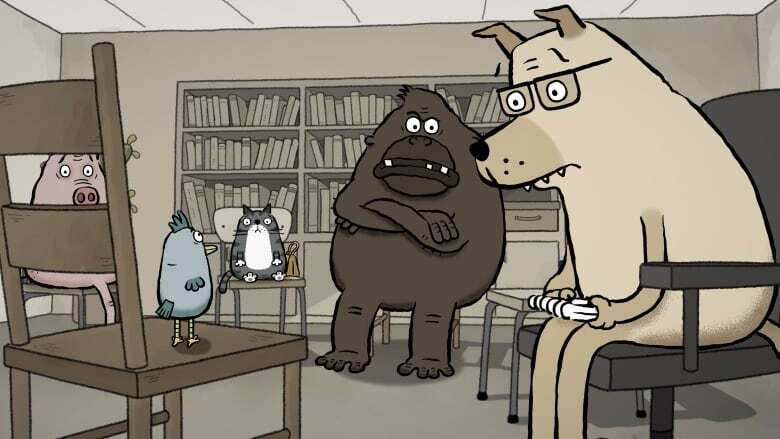 Five animals—including a leech who suffers from separation anxiety and a bird with guilt issues—meet regularly to discuss their inner angst in a group therapy session led by Dr. Clement, a canine psychotherapist. This hilarious yet emotional short looks at whether we should learn and adapt—or should others just accept our true nature? Produced and executive produced by Michael Fukushima for the NFB’s Animation Studio in Montreal, Animal Behaviour is the 75th Academy Award nomination for the NFB—more than any other film organization based outside of Hollywood. The NFB has received 12 Oscars over its 79-year history, including a 1989 Honorary Academy Award for overall excellence in cinema.